Paris, 9 October 2018 - Eurociné, "The environment and us: a balance in danger"
The Eurociné collective, to which the Jacques Delors Institute is a stakeholder, is relaunching its film-debate cycle on October 9th. After “Persepolis” and “The Outraged Earth”, we invite you to a screening of the film by Cyril Dion and Mélanie Laurent, “Tomorrow”. In this film, the two directors travel across several countries to show us solutions to the crises that threaten us by meeting pioneers who reinvent agriculture, energy, the economy, democracy and education. Concrete examples that pave the way for a better tomorrow than we think. The screening is followed by a citizen consultation entitled “The environment and us: a balance in danger” which invites you to express yourself on the European and European environmental initiatives, based on the content of the film and your experience as a citizen. 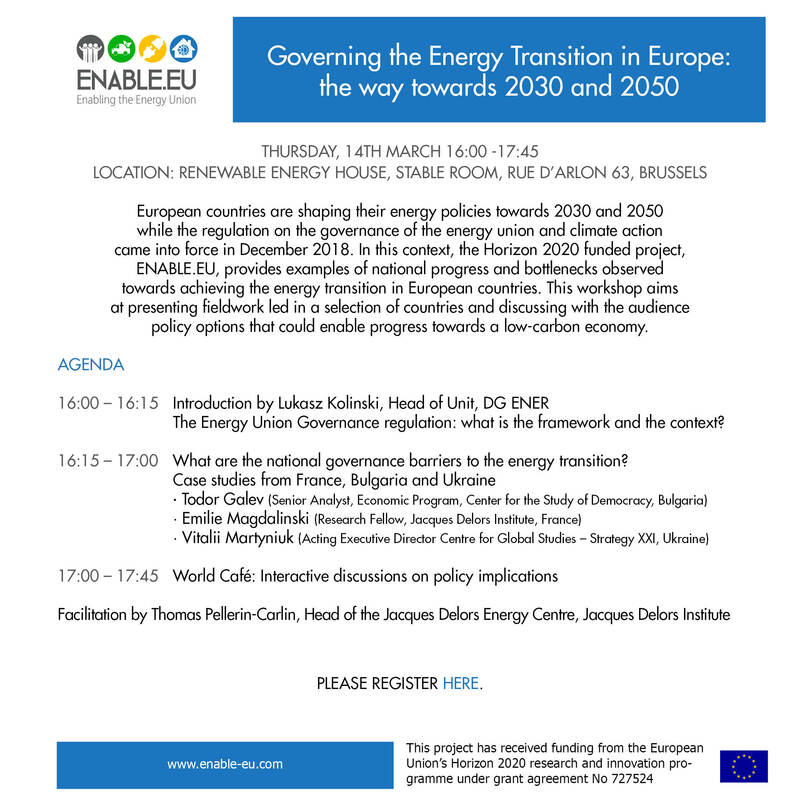 The consultation will be moderated by Thomas Pellerin-Carlin, a researcher at the Jacques Delors Institute, and a specialist in European energy issues and policies. Admission free and free within the limits of available places.